Amazing in taste, the E-Beet Fruit3 bar is not only my new favourite in the Xactnutrition line up but has become my go-to bar for quick energy and fuelling for performance. When the body is under load (as in working hard anaerobically) it is essential to intake calories that are easy to digest and that are actually palatable. I've always struggled with this aspect of training and racing as the body simply isn't hungry for anything. I know many of you can relate! However, I love the taste of the E-Beet bar and with only 2 bites to get it in, it provides fast and efficient calories. The E-Beet bar ACTUALLY tastes like beets and not some synthetic chemical fake food. The lift that I get energy wise is noticeable immediately. I've trained the body to intake 100cals right before a race start or super hard training session in order to top of my fuel tank. 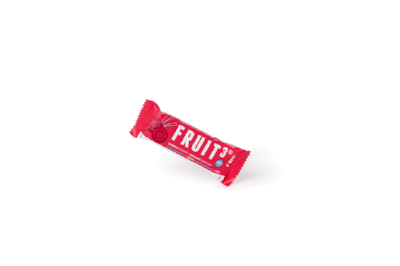 Not wanting any bloat or stomach issues, the Fruit3 bars have worked perfectly for a "pre-GO' lift. Knowing the ingredients of the bar makes me feel that much better about eating it. As a female endurance athlete, it is an added bonus that this bar is loaded with iron! As part of my testing of this bar, I took it along with me while racing at a 550km adventure race in Belize. It worked like magic! The bar did not melt or change in structure. It was never a sticky mess or an issue to deal with. Trust me, on a race of this distance, the last thing I want to be dealing with is food issues and things that irritate me when in a sleep deprived state. I was so happy that I brought these bars with me (along with a variety of Fruit2's) and, so were my team mates :) Loaded with electrolytes, the E-Beet bar was perfect for replenishing the sodium, potassium and magnesium that I was rapidly loosing in 32C temperatures. Until May 15th use the special code: VIP-BeetTheBonk to receive 15% off your order.